Latvian-born sculler Sanita Puspure booked her place at London 2012 when she finished fourth in the women's sculls at the Lucerne regatta in Switzerland. With Denmark's Fie Udby Erichsen winning the race ahead of Australian Kim Crow and Gevvie Sone of the USA, Puspure pushed hard in the final 500m and held on for the vital fourth place. Puspure represented Latvia at U-23 level, and after moving to Ireland with her husband in 2006, joined the Old Collegians club and went on to win the senior women's sculls at the Irish Championships in 2009 and 2010. 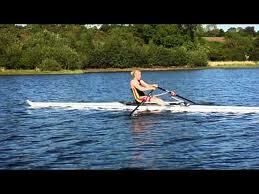 She becomes the first Irish-based female rower to 'qualify' for an Olympics. Carrick-on-Shannon sculler Frances Cryan competed in the Moscow Games of 1980 without having to go through a qualifying process. * The only other Irish rowers to have qualified for London 2012 so far are the adaptive rowing crew who will compete in the Paralympic Games.